There is nothing better than helping dogs to look and feel their best. After considering a career with animals for over a decade, I finally joined Jim’s and I’m so glad I did! The training received was comprehensive and the support is reassuring. Sometimes grooming can be stressful for any dog so I like to take a little extra time to make sure each dog is as happy and relaxed as possible. My patience never wears thin! I’d love to come and meet your dog and I’m only a quick phone call away. 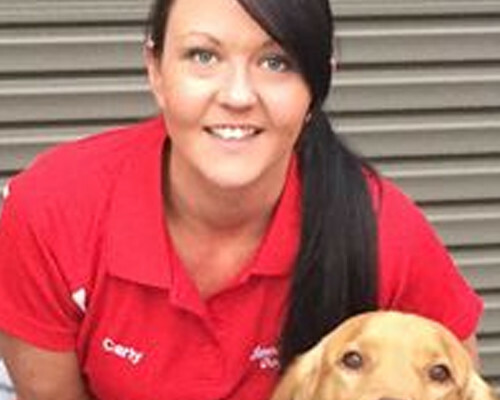 131 546 or request a free quote online to arrange for Carly to get in touch with you. We wash dogs at your home or office, a place your dog knows and is comfortable in.